Particularly with shiny surfaces, a faultless production chain is expected in order to lend a sophisticated visual appearance to the final product. 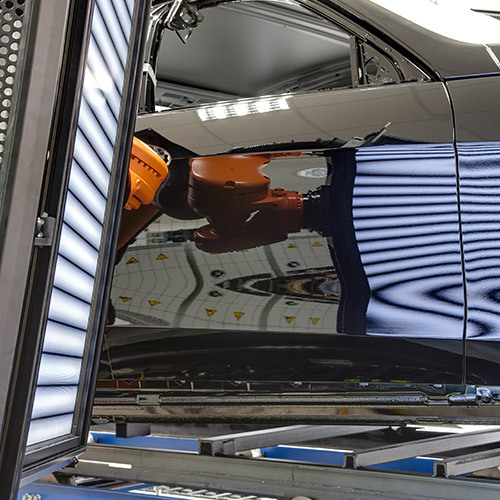 For fully automatic defect detection on car bodies and attachments, the reflectCONTROL inspection system is used. The system projects a striped pattern onto the surface. Deviations caused by defect are recorded with two cameras and evaluated via software.